River banks and openings in floodplain forests. 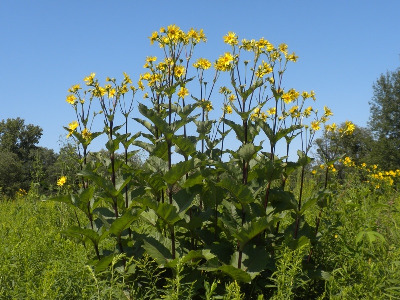 The plant is popular in cultivation and plants of fields, an abandoned orchard, railroad embankments, and such places are probably not native there. 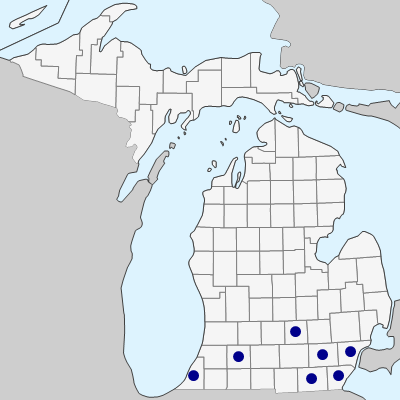 The species is native mostly south and west of Michigan, barely entering the state. MICHIGAN FLORA ONLINE. A. A. Reznicek, E. G. Voss, & B. S. Walters. February 2011. University of Michigan. Web. April 20, 2019. https://michiganflora.net/species.aspx?id=447.